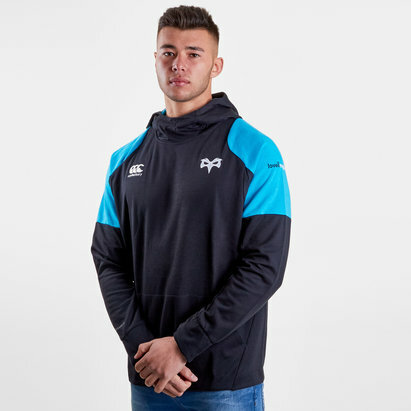 Hit the Liberty Stadium in this Ospreys Serin Hooded Sweat. 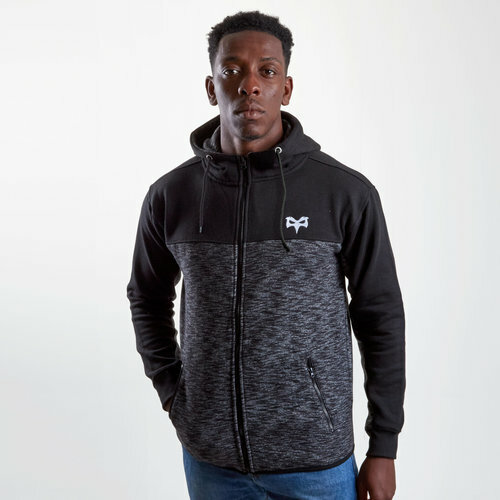 This hoodie has been crafted to be stylish yet comfortable. In a soft feel fabric you're sure to feel relaxed no matter where you wear it. 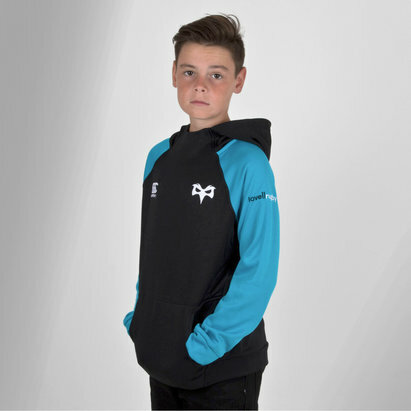 This top has a full zip and a hood for the desired it snd feel to help protect you from the elements. 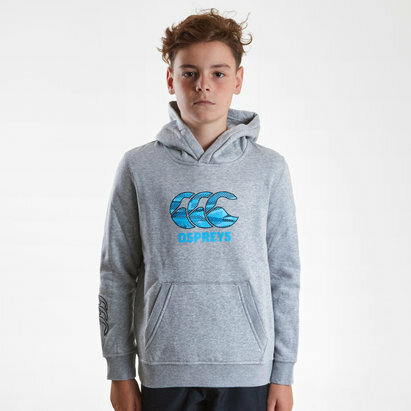 The drawstring on the hood means you can tighten the fit to give yourself more warmth. The two side pockets are helpful for storing valuables or keeping your hands warm. 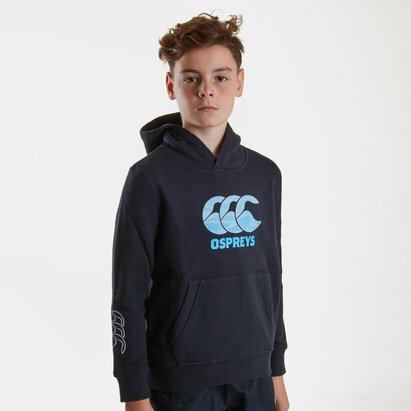 This hoodie is black and tips to the Ospreys colour scheme. 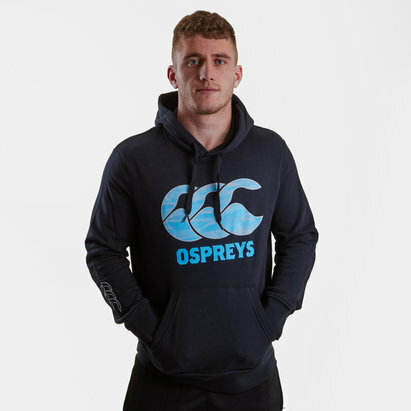 It has the Ospreys logo on the left side of the chest.